Dr. Nana Lee holds a PhD in Biochemistry (2000) from the University of Toronto, a Postdoctoral Fellowship at the University of Michigan and was a Visiting Scholar at Whitehead (Broad) Institute for Biomedical Research, MIT with the world’s leading group of the International Human Genome Project. Her roles in the biotechnology industry include Senior Research Scientist for Ellipsis Biotherapeutics, Toronto and Senior Research Scientist, Product Manager and Director of Application Science for DNA Software, Ann Arbor, Michigan. 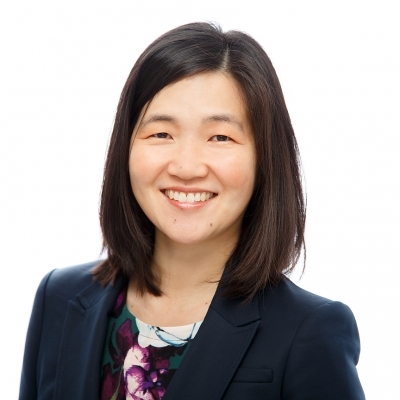 Dr. Lee brings her valuable expertise as an industry scientist and mother of three back into academia as she is currently pioneering the addition of professional development in biomedical graduate education. Along with Dr. Reinhart Reithmeier, she developed and implemented the innovative Graduate Professional Development (GPD) course in the fall of 2012 for the Department of Biochemistry, University of Toronto. She directed the organization of the first Biomedical Career Workshop in 2013 sponsored by ASBMB, CSMB, Biochemistry, Immunology, U of Ottawa, Faculty of Medicine, and the Banting Research Foundation. Her speaking engagements about professional development for PhDs include those for U of Toronto’s Department of Molecular Genetics, U of Toronto’s Life Sciences Career Development Society, Canadian Science Policy Conference, University of Guelph’s Department of Molecular and Cell Biology, York University’s NSERC IACPES Professional Development Event for Science and Engineering Students. Dr. Lee currently holds the position of Assistant Professor, Teaching Stream and Director of GPD for both Departments of Biochemistry and Immunology. She resides with her husband and three daughters in Toronto.